Domonic Dean Breaux has been playing wind instruments since he was a young child. He began his study on silver flute and tenor and soprano saxophone. Domonic possesses a unique talent for bridging all styles of music, and can be heard on a number of records, film scores and national TV commercials. In more recent years, Dom has found a deep resonation in playing the Bansuri flute, and is thrilled to have shared its organic sound with many yoga classes, conferences and retreats throughout the western United States and abroad. Domonic plays for yoga classes and group meditations throughout Los Angeles, making regular appearances at both City Yoga in Hollywood and Sacred Movement in Venice. 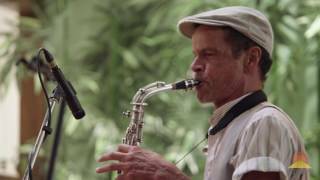 He also performs with the group ensembles Shaman’s Dream, Open Door Orchestra, Dave Stringer and Zen Dancing.